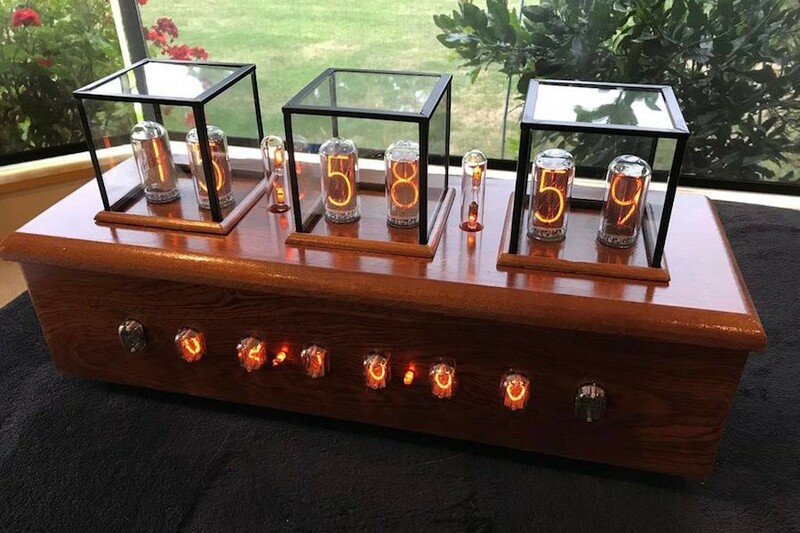 Nixie tubes may be outdated by today’s technology standards, but their warm glowing characters are hard to properly replicate, and as such have found their way into a wide variety of retro display projects. Besides being out of production for many years, they require well over 100VDC to operate, making their use a difficult, but rewarding endeavor. Hacker Christine Thompson, AKA “ChristineNZ,” decided to take her Nixie build to a whole new level. Her device uses 6 x IN-18 tubes on the top to show time and date, along with an array of 6 x IN-12A and 2 x IN-15A on the front that can display time, date, pressure, temperature, and humidity. Digit separation is provided by little neon lamps as appropriate. Control of the project is taken care of by a pair of Arduino Mega boards and K155ID1 Nixie driver chips. Additionally, the device includes audio chimes through an MP3 player and speaker assembly, and measures pressure, temperature, and humidity via a BME180 sensor unit. It also uses a light-dependent resistor (LDR) to tell when ambient lighting is low enough that presumably humans aren’t present. In response, it turns off the display to save wear and tear on the increasingly rare tubes. The video below features an assembly slideshow, followed by a demo of the device in action. As seen there, beyond the clever electronics, it’s housed in a very nice wooden enclosure, with clear protective cases over the precious top tubes. 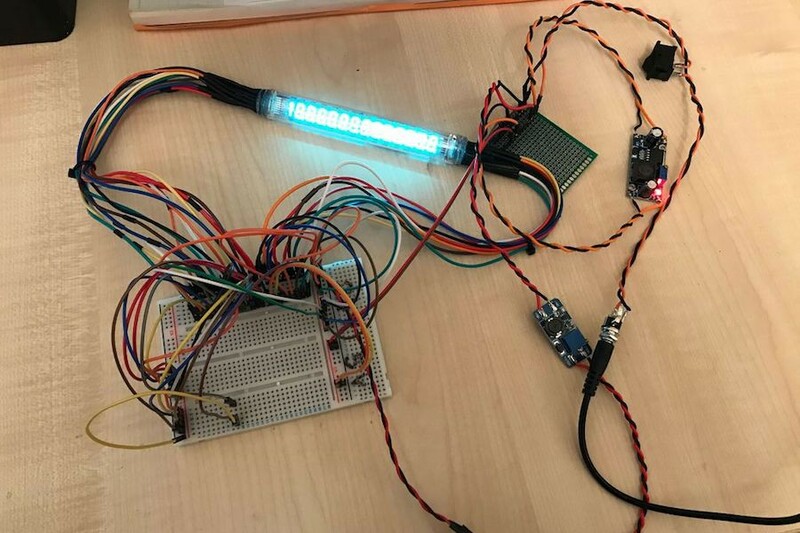 Brilliant Nixie Clock Uses 14 Heterogeneous Tubes was originally published in Hackster Blog on Medium, where people are continuing the conversation by highlighting and responding to this story.